A great accent plant for a garden. This summer growing bulb has spikes of bell shaped fragrant white flowers in mid to late summer, growing to a height of 1 – 1.5m. It is impressive growing in groups in a border and in pots, looking lovely grown together with Gladioli. It makes a good long lasting cut flower. These plants come from the cool Drakensberg mountains in Southern Africa. 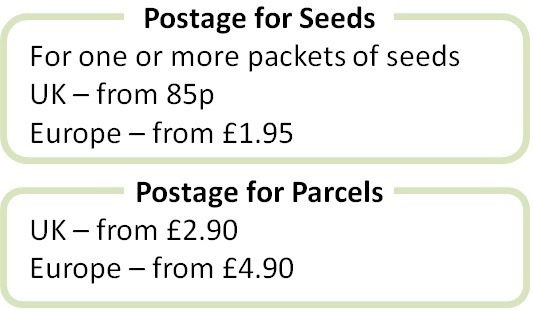 Pack of 10 seeds. Sow anytime. Germination can take a month or more. Flowering generally starts in the second season. Sowing instructions and a colour photo are printed on the packet. 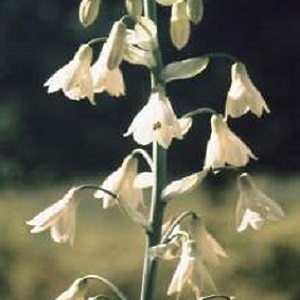 We have Galtonia bulbs for sale in early spring. Sow anytime in moist seed compost at a depth of about 5mm. The seeds germinate in about a month (sometimes longer) at around 20°C. Transplant the seedlings into pots when big enough to handle and grow on into the second season before planting out after the last frost. Flowering generally starts in the second season. Grow Plants die down in autumn, when the dead plant material can be removed. Mulch the soil above the bulbs well in the winter. In very cold gardens, lift the bulbs in the autumn and replant in the spring. Grow in full sun, in well-drained soil (to prevent winter rot) and in a protected position. Protect from slugs and snails. Mature plants produce off-sets on the bulbs, which can be removed in spring and grown on into more plants.